It came. It saw. It dazzled. 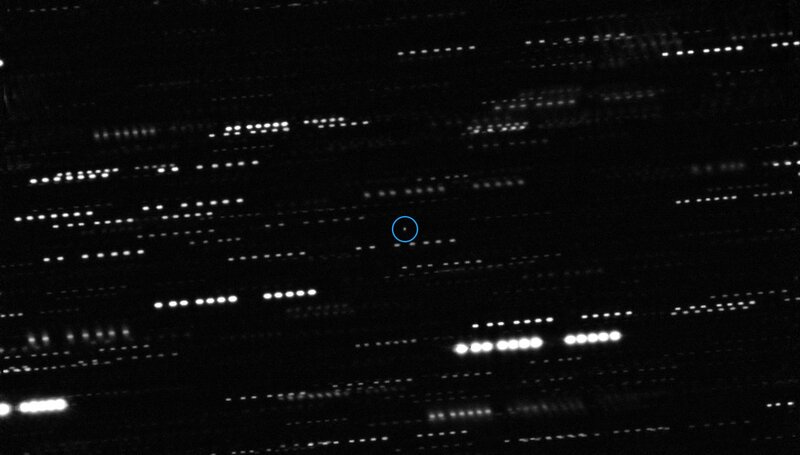 The first interstellar object ever spotted with a telescope is a fast-spinning, cigar-shaped asteroid that buzzed into the Solar System, passing close to the Sun on September 2017. First detected on October 19, 2017 by the Pan-STARRS 1 telescope in Hawaii' and then confirmed with the Very Large Telescope in Chile, the asteroid was dubbed 'Oumuamua (Hawaiian for far away visitor that arrived first). Its extremely elongated shape accounts for an average radius of about 100 meters (0.06 miles) and a length of about 800 meters (0.5 miles)—a bizarre shape unlike anything we've ever seen in our Solar System. Asteroid 'Oumuamua is now on its way out of the Solar System. As it dashes away from us, DTM cosmochemist and meteoriticist Conel Alexander shares his reactions and explains the implications of this interstellar visit. 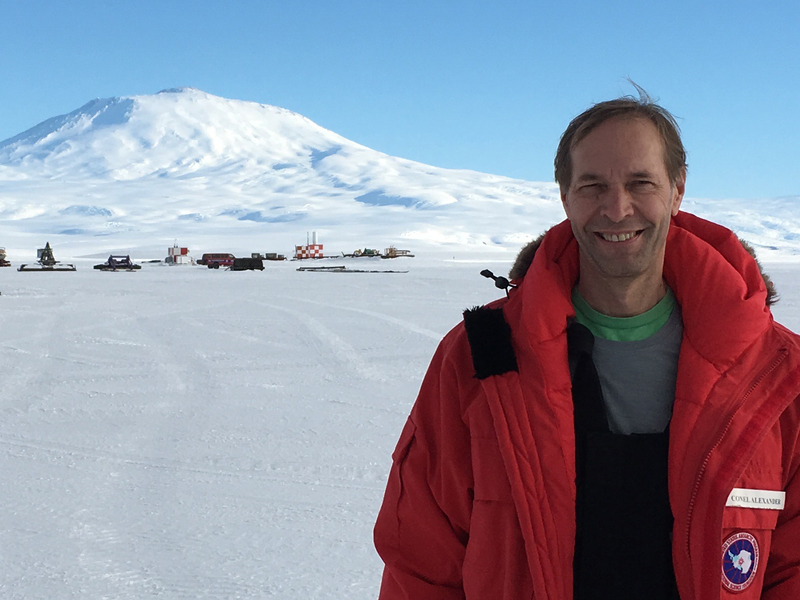 DTM cosmochemist and meteoriticist Conel Alexander during a meteorite hunting expedition in the South Pole. Why is a discovery like this exciting? The most exciting thing for me is that we will not have to send out space probes to get samples of other star and planetary systems. They are coming to us! For the first time we have clear evidence for large extrasolar objects passing through our Solar System. Ultimately, this may allow us to compare star and planet formation processes that occurred in other systems to what happened in our own. How do we know it's not from our Solar System? This can be determined from its orbit as it passes through the Solar System. Its orbit suggests that the object is not completely controlled by the gravity of the Sun and the planets, unlike all known Solar System objects. There appears to be no reasonable way to put it on such an orbit by gravitational interactions. How could a thing like that come from so far away? Does that mean that our Solar System also can eject similar objects? Objects can be ejected from planetary systems, particularly when giant planets are forming. Models have predicted this for some time, but I am not sure that many people thought it likely that we would detect such objects. They are small, and space is very large. One slightly surprising thing for me is that the object seems to contain little or no ice. I would have thought that objects (for example, comets) from the colder outer parts of a system would be ejected more efficiently. If this asteroid really is ice-free, it may have formed in the warm inner part of a forming planetary system, much like the region where the Earth and the other inner planets formed. How did it not hit anything coming in and out? For the same reason that spacecraft are able to explore the Solar System. There just isn't much material in interplanetary space, so the probability of hitting anything large is small. Why do you think it is such a weird shape? If the estimate of the shape is correct, the object is very strange indeed. I am not sure that anyone knows how to form an object with the inferred very elongated shape either by aggregation or collisions, which are the two dominant processes that sculpt asteroids in our Solar System. However, there may be other explanations for the observations. Do we think the make-up of the asteroid will be different because it's coming from a different Solar System? It is probably not very different in terms of mineralogy and elemental composition from what we have encountered in meteorites and inferred from asteroids in our Solar System. However, there are almost certainly subtle differences, particularly in the isotopic compositions of the elements (which reflect the differences compared to our Solar System), in the origin of its host star, and in the environment in the protoplanetary disk around it. How likely is it that asteroid 'Oumuamua looks like the artist's impression? We have no experience with what the surface of an object should look like when it has spent a lot of time in interstellar space. Hopefully, one day a spacecraft will be able to at least flyby an object and take high-resolution photographs. This deep combined picture (made with several telescope images) shows interstellar asteroid 'Oumuamua in the center surrounded by faint star trails that smeared as telescopes tracked the asteroid. Credit: ESO/K. Meech et al. As a cosmochemist and meteoriticist, what do you wish you could learn learn from 'Oumuamua, were you able to get a sample from it? I would like to be able to compare in detail the makeup of the extrasolar asteroids with what we know about meteorites. This could tell us a lot about how stars and planets form.